Happy Friday! 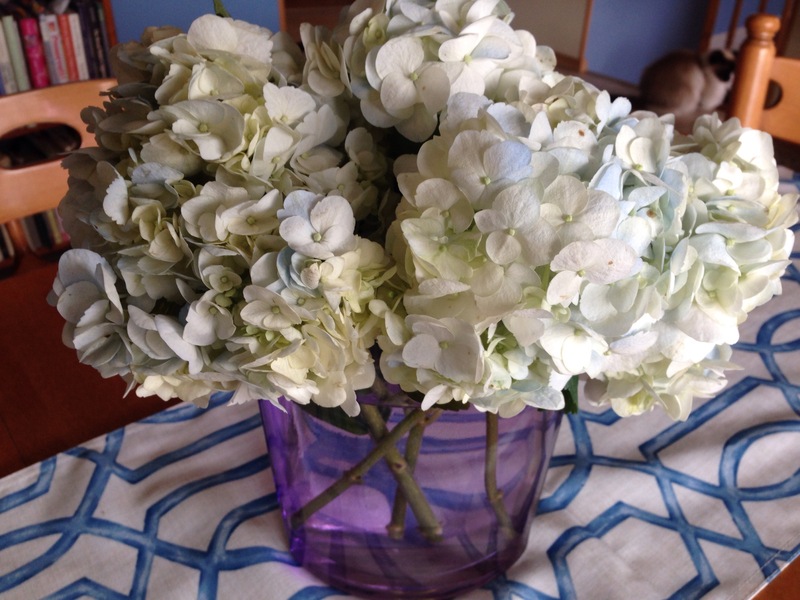 I treated myself to a vase of hydrangeas this week. I can’t grow them here, but I do enjoy them. They remind me of oversized, globular, bicolour lilacs. Very pretty. Have a good weekend.